This specially commissioned, commemorative, publication is being launched to coincide with the prestigious Royal Variety Performance (2009) and Her Majesty the Queen will be given a specially bound copy of this limited edition publication after the show. 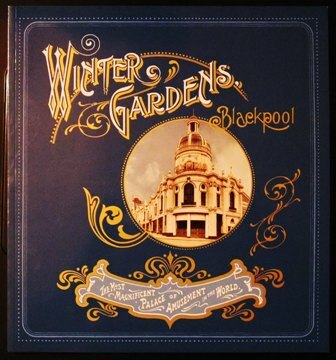 On a national level, the Winter Gardens remains a unique example of the extraordinary entertainment complexes of the nineteenth century. The 130 page soft-back book, which has gilt pictorial covers, is a fascinating account of these significant buildings and features authored by Professor Vanessa Toulmin, Director of the National Fairground Archive at the University of Sheffield. Professor Toulmin charts the history of the many wonderful spaces of the complex; lost delights including the spectacular Indian lounge and larger than life big wheel, alongside still-existing gems including the Spanish and Baronial Halls, gorgeous Pavilion Theatre and the wonderful Empress Ballroom as well as the beautiful main Floral Hall, Rotunda and Palm House as they have looked through the ages. It also encompasses information about the architects and designers responsible for creating this beautiful array of buildings with stunning interior spaces accompanied by exquisite entrances and exteriors to form this jewel of Victorian architecture. Art nouveau detailing such as tiles and windows are also showcased. Newly-commissioned, modern photographs accompany the best historic photographs, engravings and illustrations from both public and private collections, alongside reproductions of original posters to offer a lavish pictorial history.